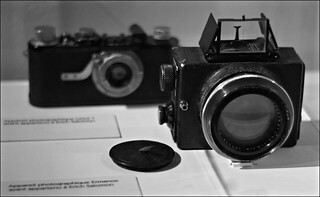 Dr. Erich Salomon was the first famous photo reporter working with fast lenses for small cameras like those for the Ermanox camera. He was present as journalist at political conferences where he made snapshots of many famous politicians and diplomats. French foreign Minister Aristide Briand called him "the King of the indiscreet". He also made snapshots of film stars and other famous people. People thought he would work with hidden camera. His images were printed by German news papers and magazines of other countries, like Fortune and Illustration. His book "Berühmte Zeitgenossen in unbewachten Augenblicken" (="famous contemporaries in unguarded moments") shows many of his best works. In 1933 he emigrated to the Netherlands. In times of German occupation (WWII) he could hide himself and his family for a while, until discovered by Nazis and deported by them to and murdered in Auschwitz in 1944. Since 1971 the German Society for Photography (Deutsche Gesellschaft für Photographie e.V.) rewards every year an organisation for exemplary application of photography in journalism with the Dr. Erich Salomon Preis. Since 1983 the prize can be given to single persons instead. It is the highest prize beside the culture prize given by that society. Its board decides who will get it. The winner gets symbolically a historic camera. 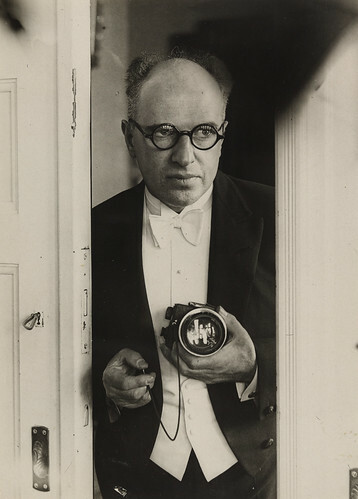 Dr. Erich Salomon Preis homepage by Deutsche Gesellschaft für Photographie e.V. This page was last edited on 28 August 2018, at 10:43.